While in Park City last month to cover Sundance and fat bike in the snow, I also got a preview of the TIME Alpe d’Huez. As I noticed at the time, it’s lovely and what you’d expect from a legendary brand like TIME. Time Visit in Park City to see their first new bike in 4 years. 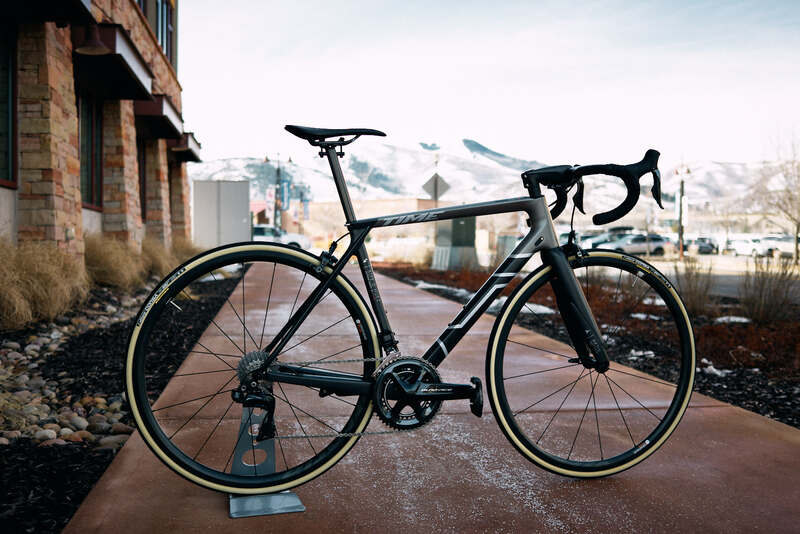 It’s the first all-new bike from them in 4 years and meant to evoke the days when Michael Rogers, Tom Boonen all rode TIME. If you’re wondering, yep, a follow-on model will have disc brakes. For now, they’re focused on road racing. Rim brake only for now with discs to follow. 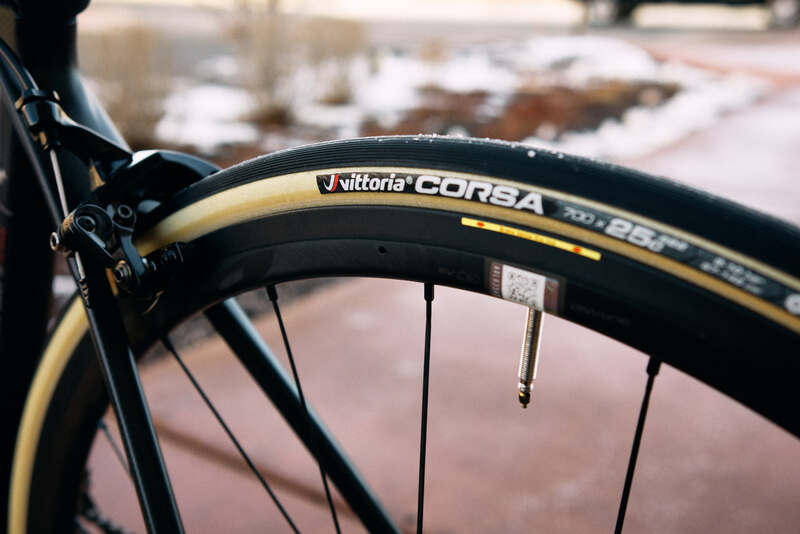 TIME’s US operations were preparing the bike for a show and media tour this week, there was also snow on the roads, so I didn’t ride the Alpe d’Huez. I did admire, again, how lovely it is. TIME is the only bike brand allowed to officially use the Alpe d’Huez names, but also the only brand with a particular link to the village, as emblematic as their bikes. 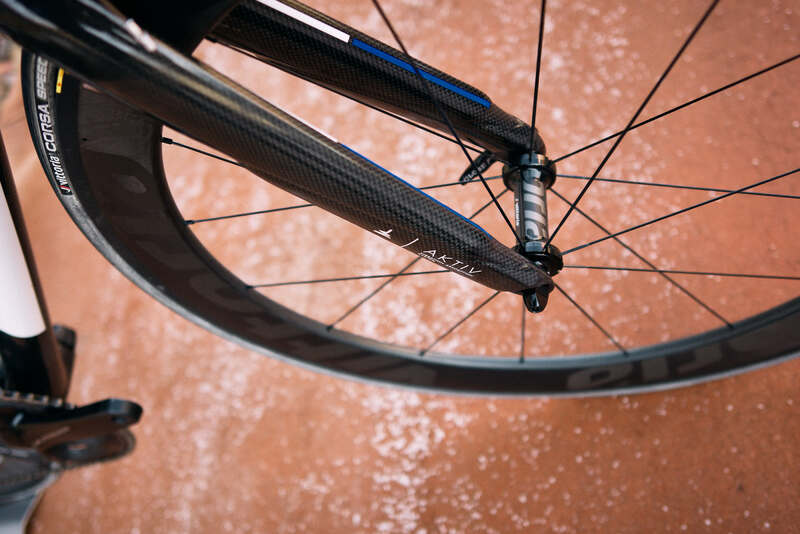 The ride is tuned with a harmonic dampener in the fork. 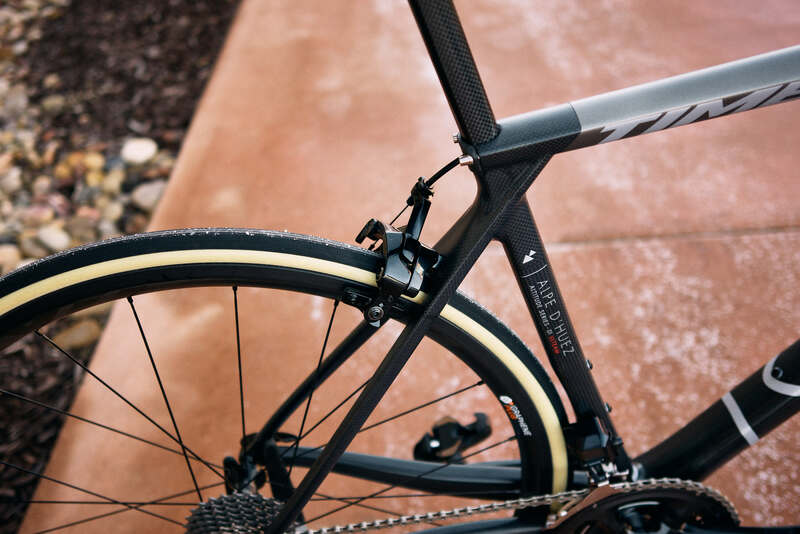 The TIME Alpe d’Huez is the lightest bike TIME has ever made, almost 9% lighter than their previous light bike and the frameset weighs 840 grams. They achieved the weight drop a with a resin-transfer molding technique (RTM), using their own carbon, and layup. They tuned the ride with a harmonic dampener. Watch the technical edit below for the details on how they make the frame. All fascinating stuff for the roadie into ultimate performance and price. The complete, limited-edition bike costs $16,200. The more comfortable club version is called the 21 and will be offered in a range costing from $3500 on up. A 01 frameset cost $5150. Bikes at the highest end, deliver a “wow” ride and while the demands of where I ride now require a bike with a different aesthetic, I understand where TIME is coming from with the Alpe d’Huez and the staff I met was certainly excited about it. TIME offers a configurator for the bike as well and reminded me their frames are made by hand in the French Alps. It’ll fit a 25 thank you very much.